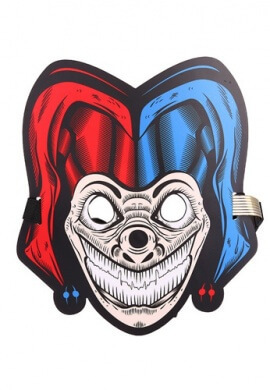 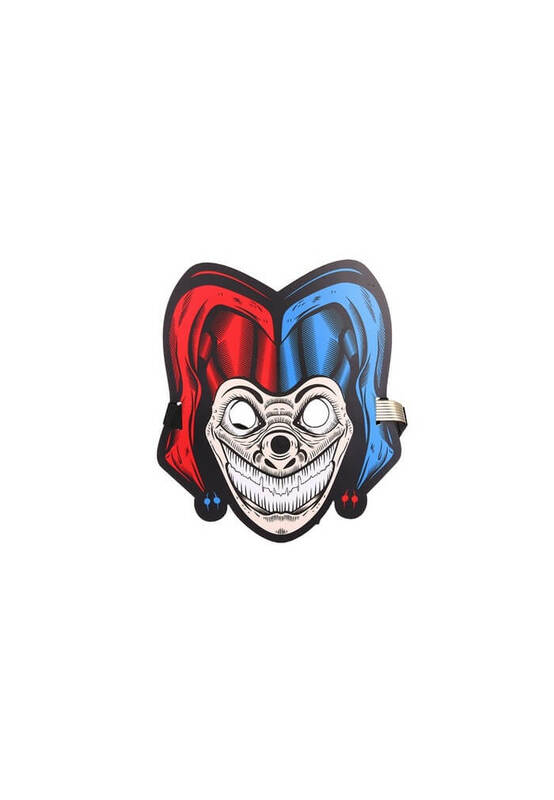 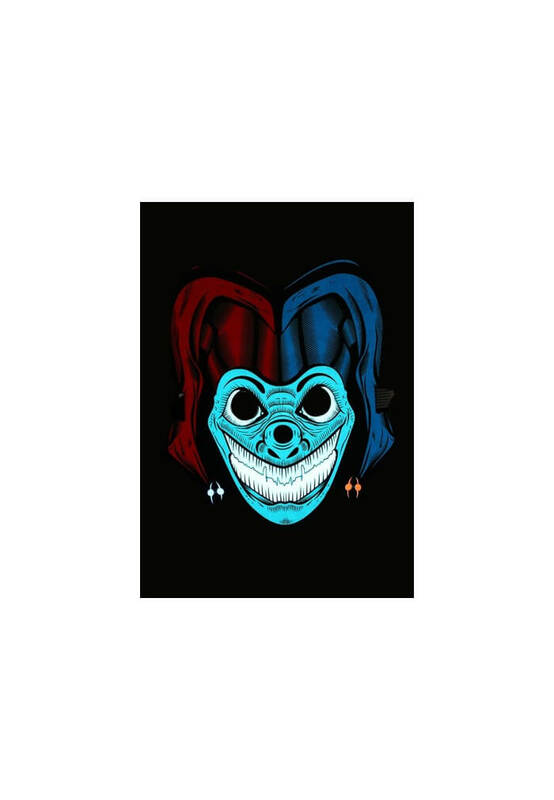 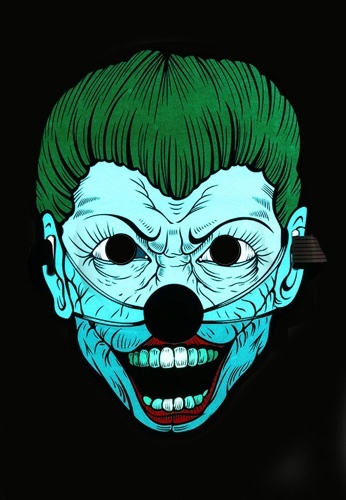 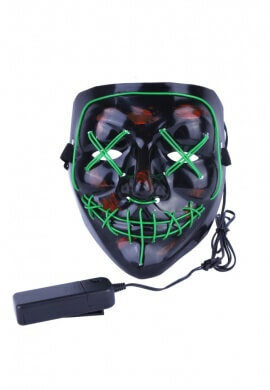 This light up mask features Smiley the clown. 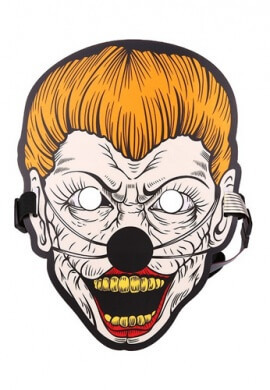 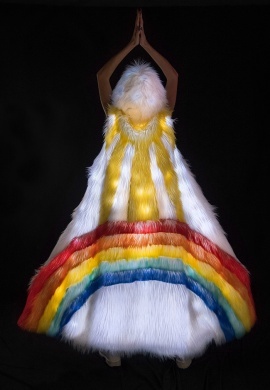 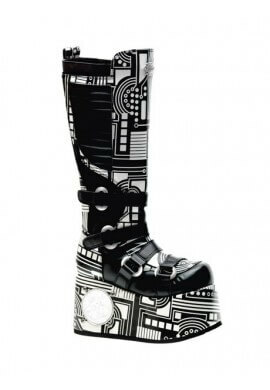 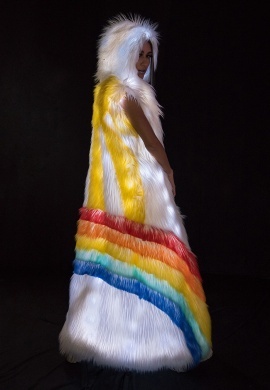 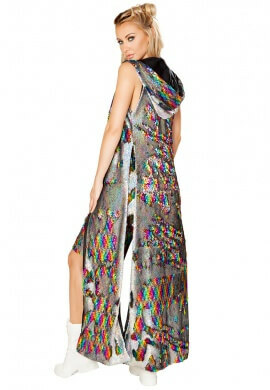 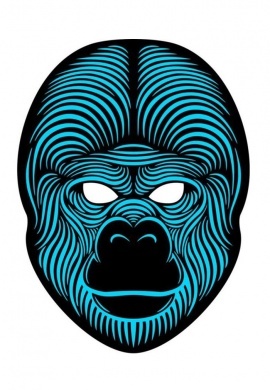 Put it on and freak everyone out around you, give them nightmares, and send them down the rabbit hole. 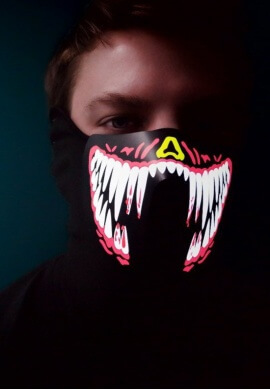 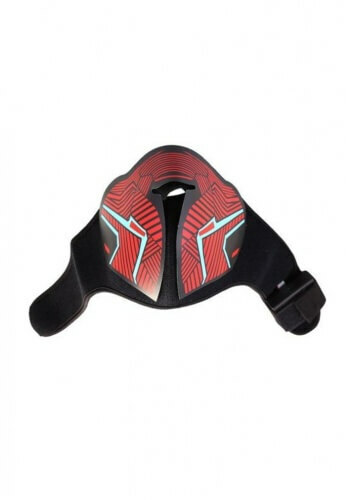 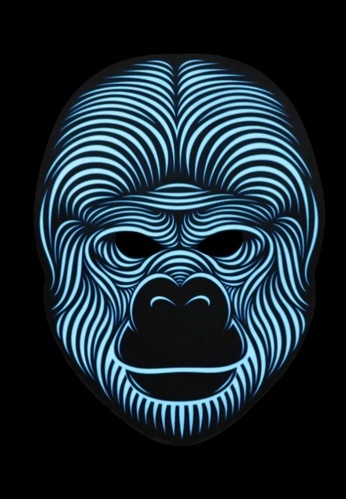 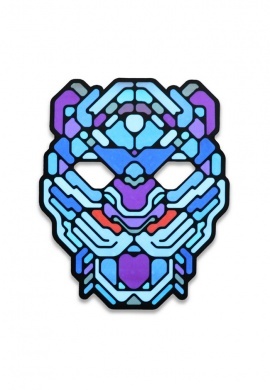 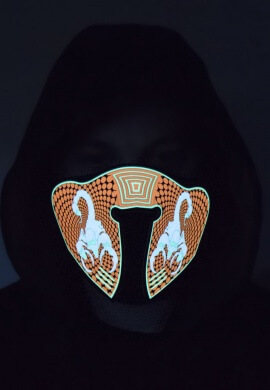 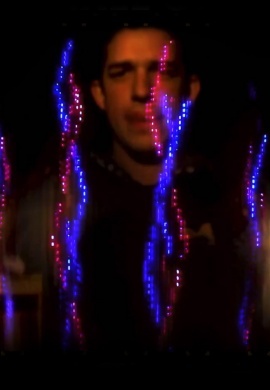 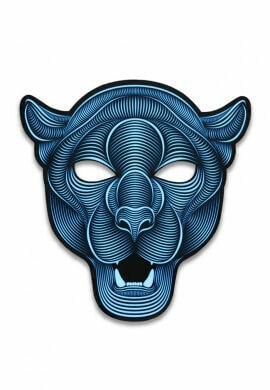 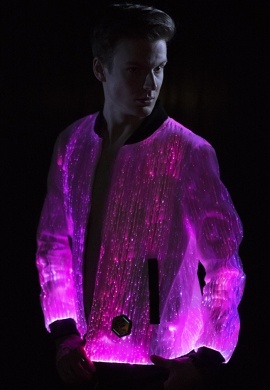 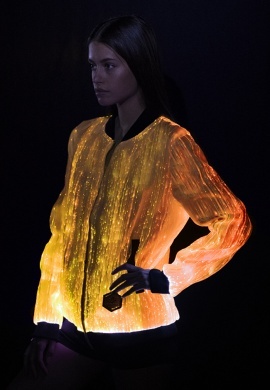 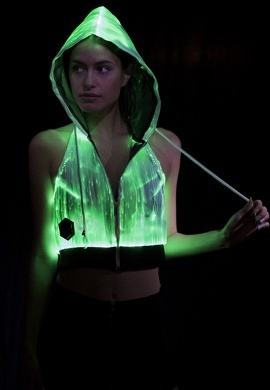 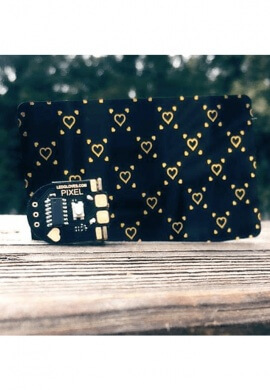 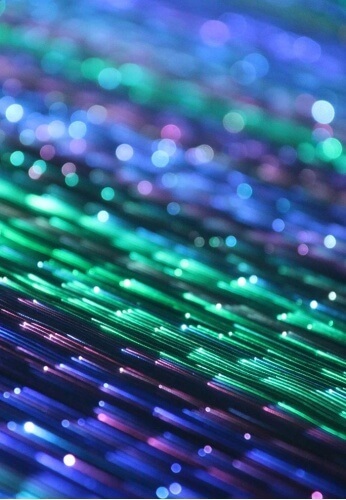 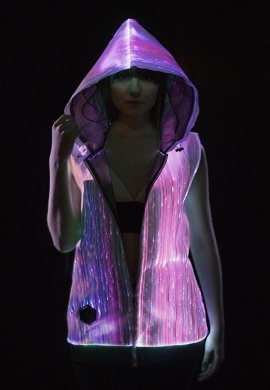 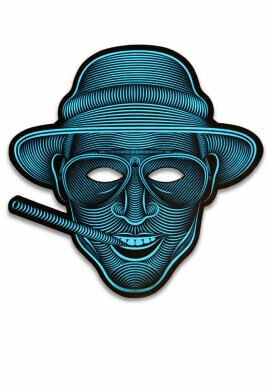 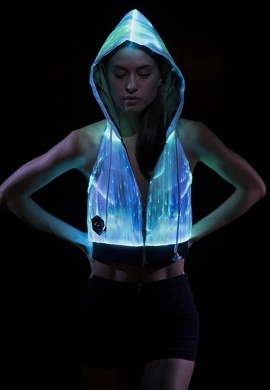 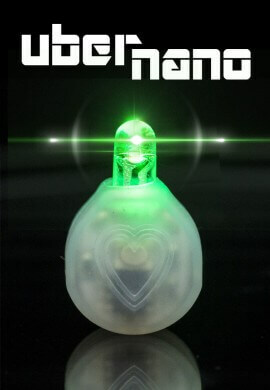 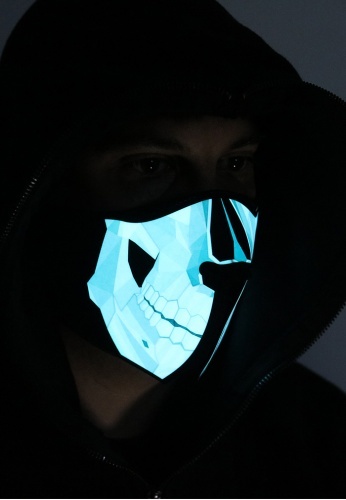 These flexible EL panel masks will light up the night and score a reaction like nothing else. 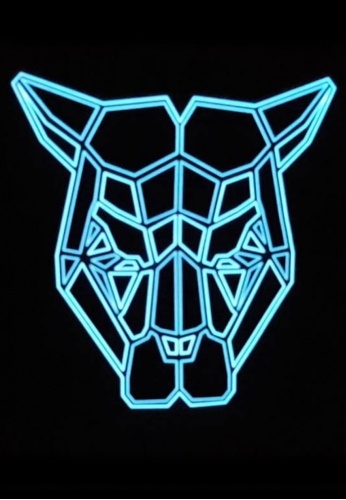 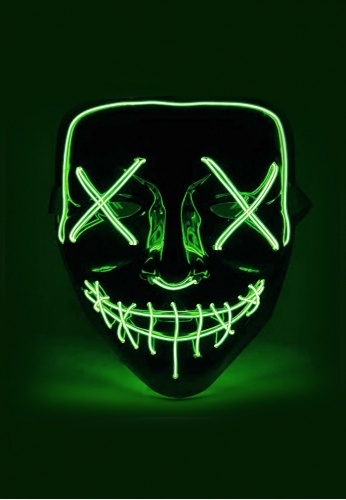 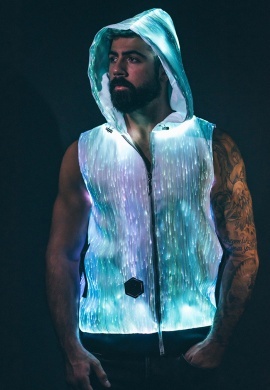 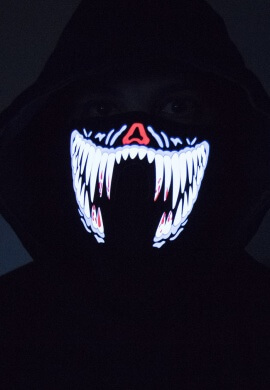 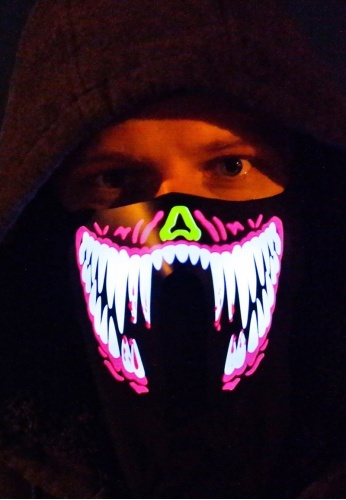 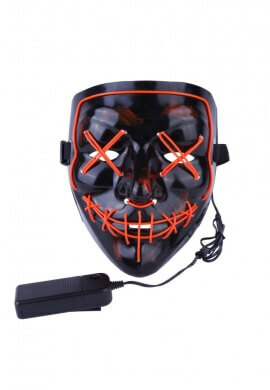 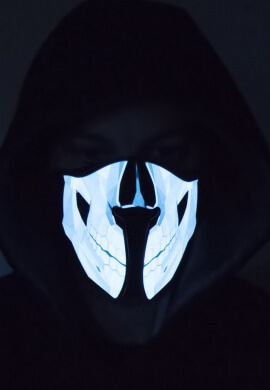 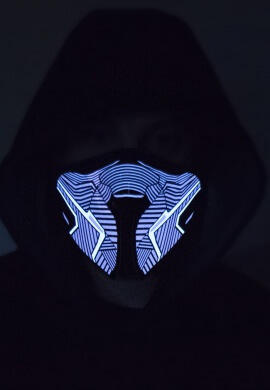 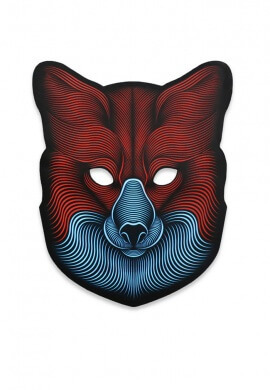 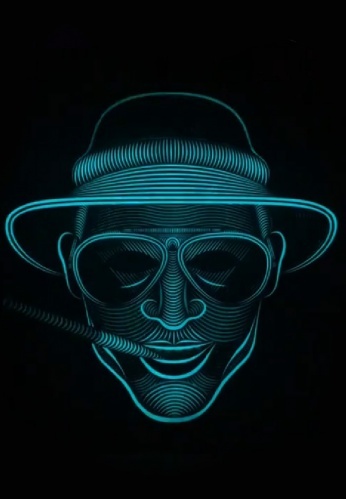 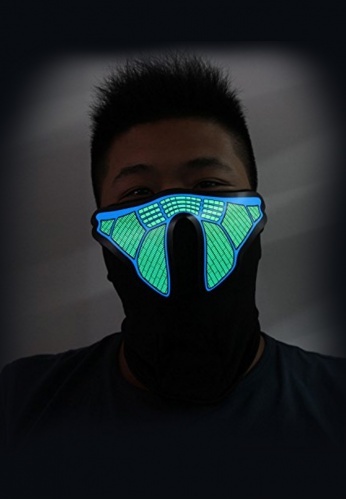 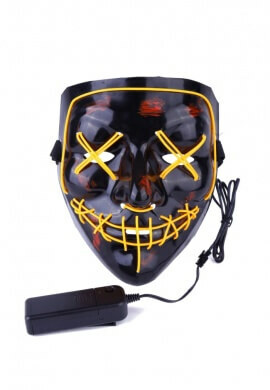 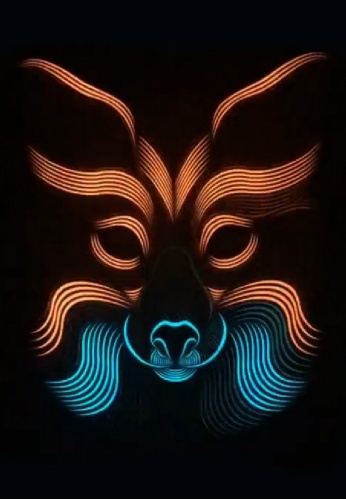 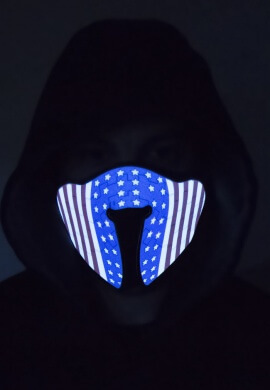 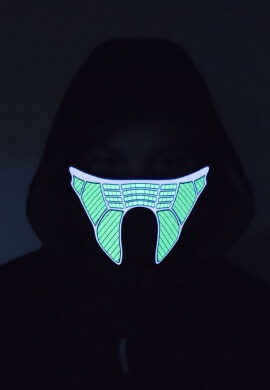 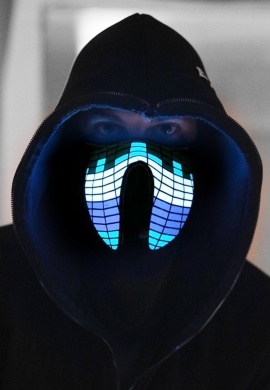 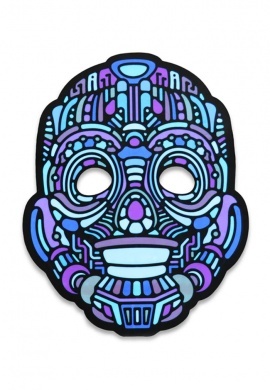 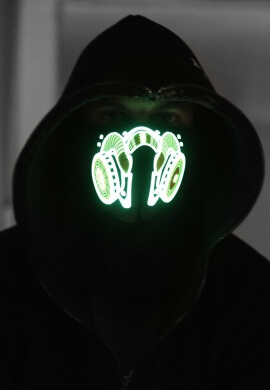 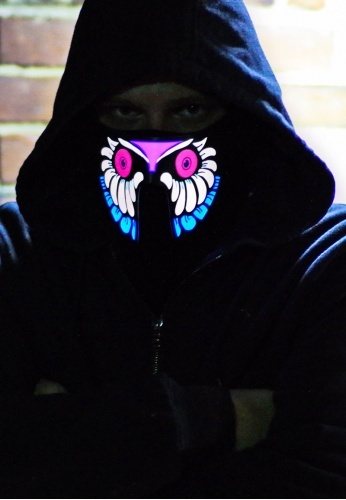 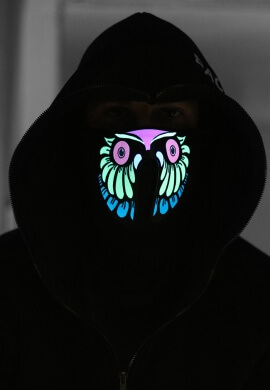 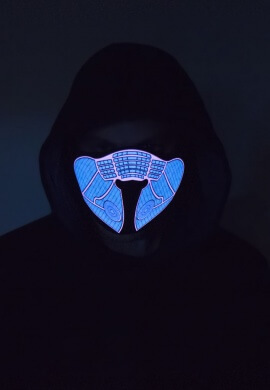 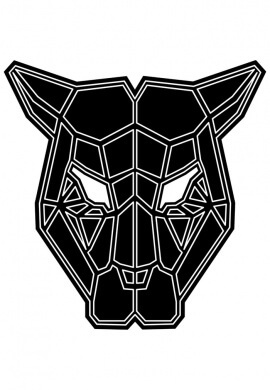 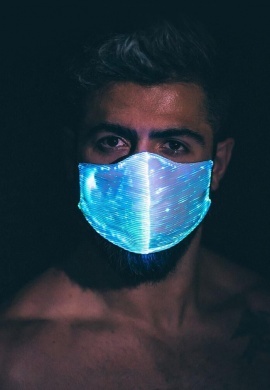 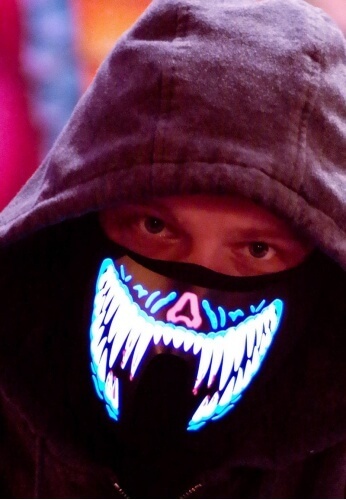 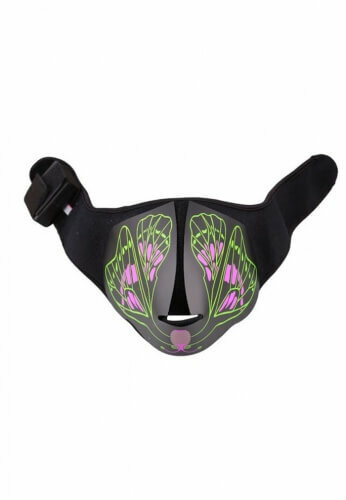 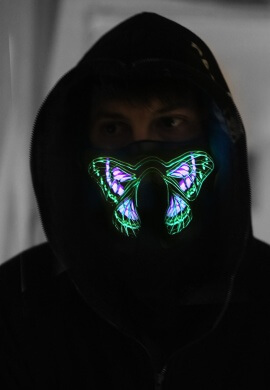 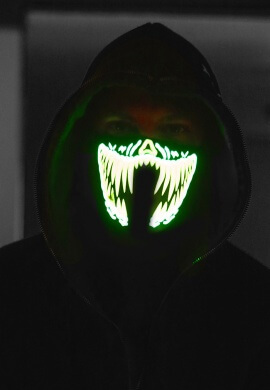 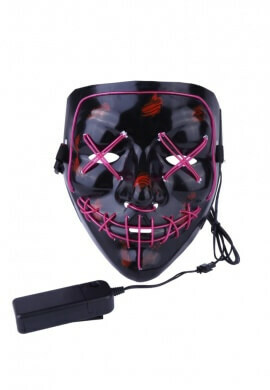 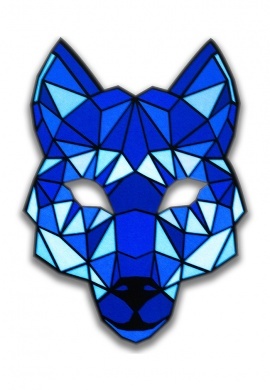 Made of a thin light up LED panel these masks will comfortably mold around your face and create an epic visual experience for everyone around you. 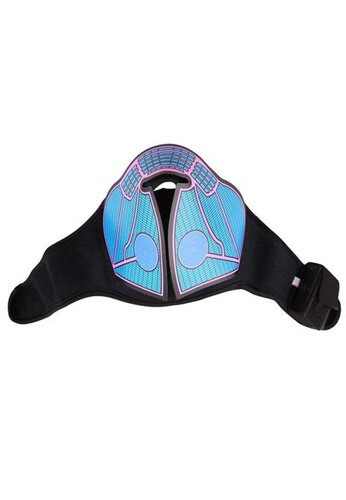 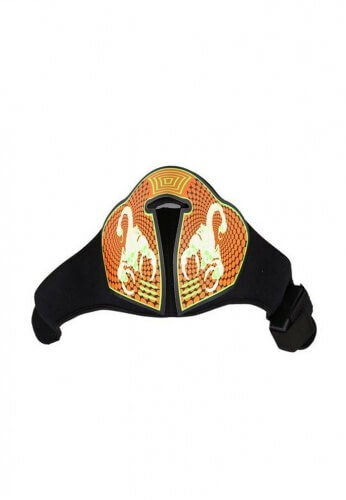 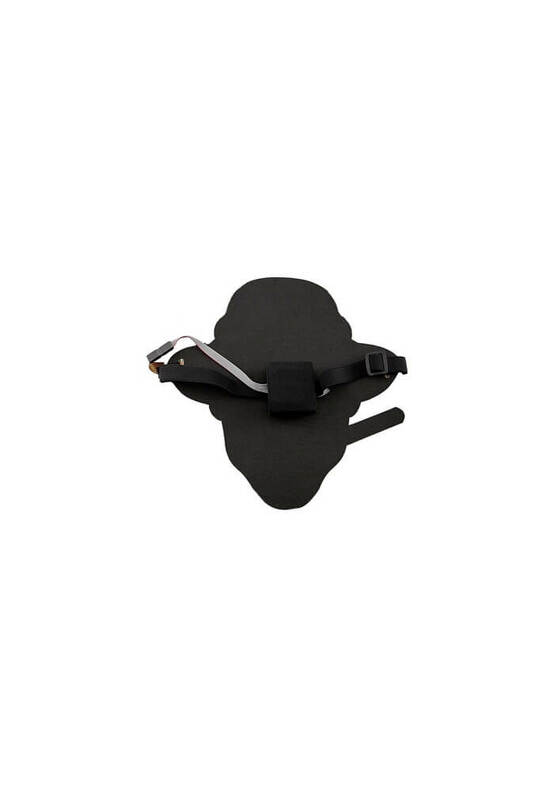 The adjustable head strap will expand to fit just about anyone comfortably.